You are here: Home / Turntable Reviews / Rega Planar 2 review: Upgrade Over the Planar 1? Rega is a titan in the turntable community, with a stellar reputation for churning out well crafted and beautifully operated record players. And they’ve been doing it for decades. In fact, it’s been four decades since the original release of the Rega Planar. 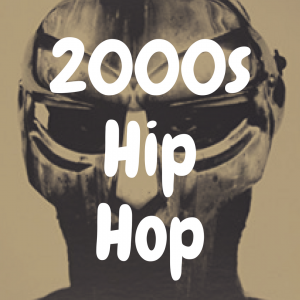 The machine has since then has gone through a few changes, most notably its name. Known much more recently as “RP,” Rega decided to switch from the “RP” moniker back to the “Planar” brand a few years ago—a wise change due to how famous and well known the “Planar” name has been since 1977. In this Rega Planar 2 review, I’m going to dive into what this turntable offers, and whether it seems like a worthwhile upgrade from not just the Planar 1, but any turntable you might have in your home. To better guide you, please use the interactive table below, where you can directly compare the Rega Planar 2 to other notable turntables in its class. 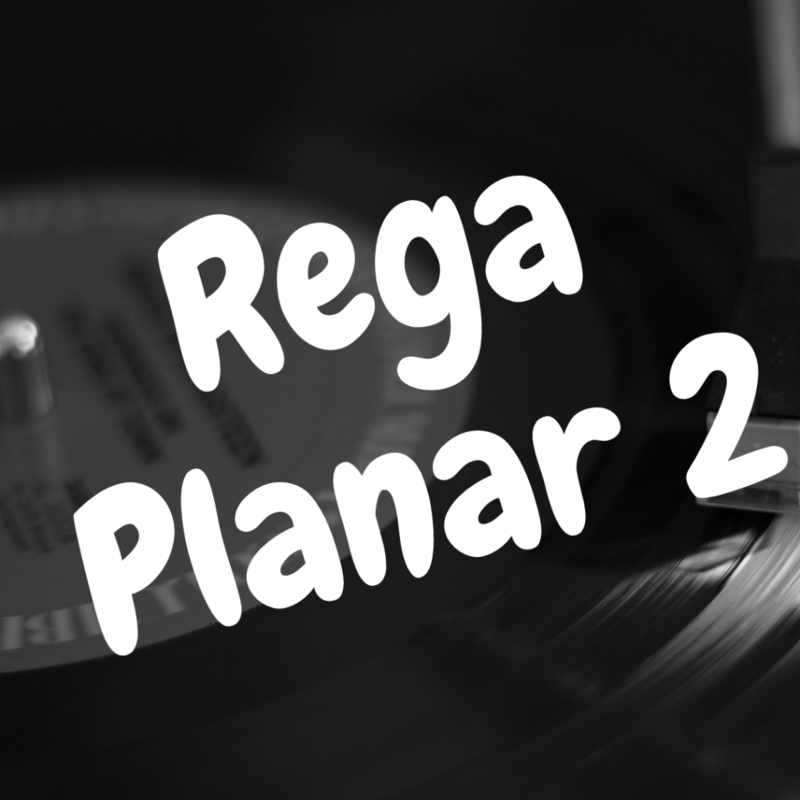 You can read our Rega Planar 1 review here! Now the Planar 2 comes in a few different colors. You of course get the always classic black color as an option, but Rega also allows you the ability to purchase the Planar 2 in white and red. 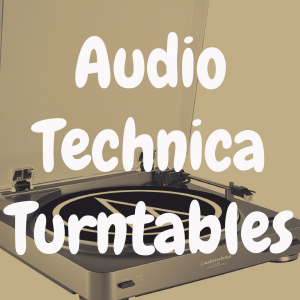 It’ll also come with a dust cover, which is not only a nice way to keep your turntable clean, but it saves you the unnecessary worry of someone bumping into your table or (even more worrisome) your tonearm or cartridge and causing significant damage. You get an interesting sandwiched construction when it comes to the base of the Planar 2. Here, you’ll get a composite material in the middle that’s made from resin and recycled wood fibers (better known as medite). This is pretty nice, because it means you’re getting a very rigid and sturdy base, upon which your platter will sit. The outer layer of this construction is made of a high pressure laminate. So, when you combine the high pressure laminate with the medite, you really get a plinth that’s going to do a very good job at filtering away any unwanted vibrations that could affect the stylus’ ability to track the groove of the record properly (and, in short, negatively affect the sound quality). 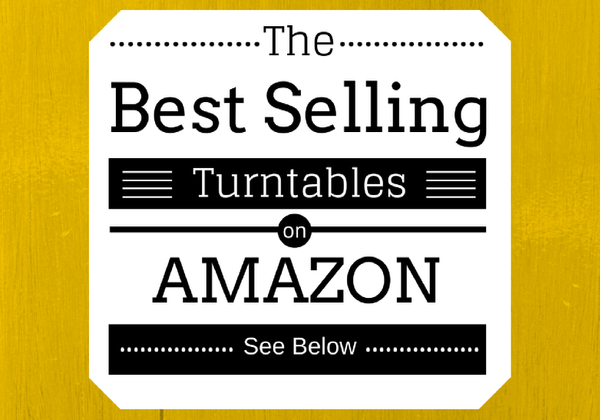 Below, please take a moment to view some of the best selling turntables available on Amazon (and see how well they stack up to the Planar 2). Now, a lot of turntables may feature an aluminum or even acrylic platter. But the Rega Planar 2 opts for a float glass platter. It’s 10 mm thick, and is heavier around the edges. What’s nice about a thick, heavy glass platter such as the one on this turntable is that it often ends up being very consistent where it comes to speed stability. This is going to help to make the music sound all the more accurate. Now moving onto the tonearm. On the Planar 2, you get an RB220 tonearm, which is made from aluminum. It’s a very good arm that has zero tolerance bearings, which helps the Rega carbon cartridge track the grooves of your record quite well. One thing worth mentioning here is that the Planar 2 is using a 24 volt AC motor, which is a twin phase brushless motor. What’s nice about that is that you’ll find that unwanted noise is often held at bay, so it doesn’t get to the plinth and affect your tonearm (and by proxy, your sound). Now one thing that’s nice about the Rega Planar 2 is that it’s easy to set up. You can, in fact, probably have it up and running in roughly five or ten minutes. It’s a pretty plug and play machine, which is always ideal if you’re overly anxious to get to the joy of record playing. Planar 1 vs Planar 2 vs Planar 3: What’s Best? 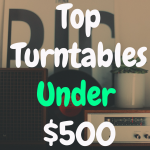 I think one of the most challenging aspects of buying a turntable that’s part of a larger line of turntables is determining which one in the line is the best to get, and why. And so, in this section, I’m going to try and help you determine exactly that. 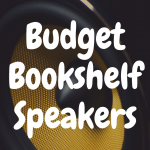 Let’s first start off with the basics—price. 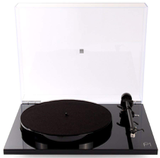 The Rega Planar 1 can be found for roughly $475. The Rega Planar 2 costs roughly around $675. The Rega Planar 3, by contrast, costs roughly about $1,145 (although you may be able to find it for slightly less than $1,000). So, as you can see, there is only about a $200 gap between the Planar 2 and Planar 1. But once we get to the Planar 3, it’s almost double the price of its predecessor. So why the noticeable changes in price? 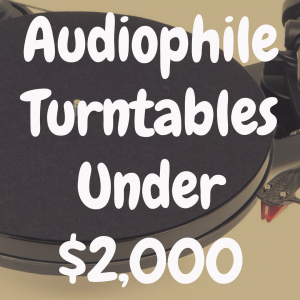 Well, let’s dive into what these turntables really offer a potential customer. Now, in general, when we’re talking turntables, one of the machine’s main jobs is to keep noise and vibrations to an absolute minimum. If that can be achieved, the listener is going to reap the benefits of the purest sound possible. On all the three Planar turntable models, the plinths are very similar in design. For example, you get a sandwiched construction of high pressure acrylic laminate over particle board on the Planar 1. On the Planar 2 and Planar 3, you get a heavier and much denser MDF (remember the recycled wood fibers we discussed earlier?). The feet are also going to be quite similar on all three models, although it’s probably worth pointing out that they’ve been redesigned a little bit from when Rega was pumping out their record players under the “RP” line. Now, the feet are a bit more stable, and overall, I think they do a better job at reducing vibration. As we move up the turntable, you’ll notice that the Planar 3 is the only one of these three that actually has Rega’s signature double bracing feature. What this feature does is it increases the rigidity of the plinth between the tonearm and the main hub bearing. Ultimately, this is going to help keep your music sounding as distortion free as possible, preventing unwanted resonance which can negatively impact the sound of your music. Now let’s talk a little bit about the platter on these turntables. Being that the Planar 1 is roughly a $475 product, it’s not going to feature a glass platter. Instead, you’ll find a phenolic resin platter featured on this sub-$500 product. The Planar 2 and Planar 3 are the ones where you’ll be able to enjoy the float glass platter, although it should be noted that the Planar 3 features a thicker (and thus heavier) platter. In fact, the Planar 2 features a 10 mm thick platter, while the Planar 3 is rocking a 12 mm platter. 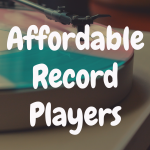 And a heavier platter helps to provide better speed stability when you’re playing your record. Speaking of maintaining speed consistency, let’s now move onto the turntable motor. All three use a 24 volt, low noise brushless motor. One nice little bonus here is that the Planar 3 also allows you to use Rega’s external speed control unit (the TTPSU), which can enhance performance. Moving onto cartridges, the Rega Planar 3 can be purchased cartridge-free, if you like. Just know that you’ll need to buy a cartridge on your own and either install it yourself, or take it to a dealer that will install it for you. On the other hand, the Planar 3 can also come with a pre-installed Rega Elys cartridge. This is a moving magnet cartridge that is a definite upgrade over the Rega Carbon cartridge, which comes standard on the Planar 1 and Planar 2. The Rega Elys cartridge cannot work without the tonearm it’s attached to, and with the Planar 3, you get an RB330 tonearm. By contrast, the Planar 1 comes with the RB110 tonearm (two piece design made of aluminum), while the Planar 2 is rocking the RB220 tonearm (a one piece design that does offer more rigidity than the RB110. With that said, the RB330 is an upgrade over both. There’s a reason why Rega Planar turntables have been making vinyl fans so happy for generations. With it’s glass platter, solid construction, and brushless motor, the Rega Planar 2 is a very good turntable—especially if you don’t want to speed $1,000 to get a quality record player.